We are 'sew' excited to share a new book with you today! If you're a garment maker or want to be one, then we HIGHLY recommend Designer Joi's Fashion Sewing Workshop! Designer Joi's Fashion Sewing Workshop features fundamental skills and techniques for the fashion sewist that follow Joi's process for teaching fashion design, illustration, pattern-making, and sewing a garment. This handy reference not only provides knowledge about garment making, but also hands-on exercises throughout for practice and skill-building before creating a finished garment. With Joi's process and insight into patternmaking and garment construction, creating fashion-forward garments is achievable for any sewer. There are 7 chapters in Designer Joi's Fashion Sewing Workshop that range from "Design and Inspiration" to "Designing for the Real Body" with tons of good, meaty content in between. However, we particularly love chapter 6, Joi's Sewing Workshop! 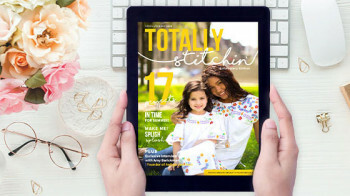 Other highlights from this chapter include an interview with Baby Lock retailer Kris Thurgood from My Girlfriend's Quilt Shoppe about what to look for when purchasing a sewing machine and a helpful checklist to run through when your sewing machine is acting up. I know I said it before, but seriously, if you're interested in garment sewing, get this book. Joi knows her stuff and wants to share her knowledge with you! Ready to start making garments? 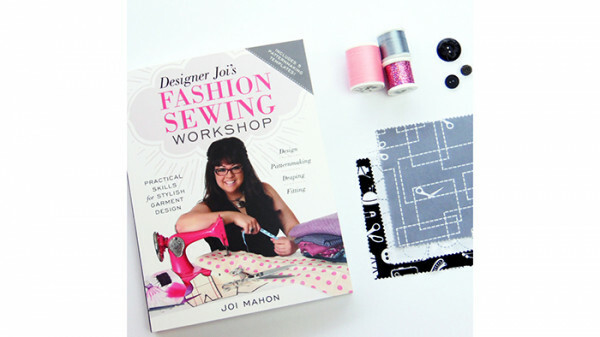 Pick up Designer Joi's Fashion Sewing Workshop to achieve garment sewing success! For more inspiration, tips, and to follow Joi's sewing journey, join her on Facebook!